For the first time since the facility’s construction was completed in 1977, a majority of the large diameter crude oil piping at Alyeska’s Valdez Marine Terminal is undergoing a comprehensive inspection, both externally and internally. The inspections of these 36 and 48 inch diameter pipes began in 2016, and will be completed by the end of 2018. Alyeska can use the data from these inspections to evaluate the current, complete condition of the large diameter piping used to move Alaska North Slope Crude onto tanker ships at the terminal. With the exception of a few necessary, planned pipeline shutdowns, most of this work was done while crude oil was still flowing through the pipeline and tank ships were still loading. Oil collected inside boom during spill. Photo by Jeremy Robida. 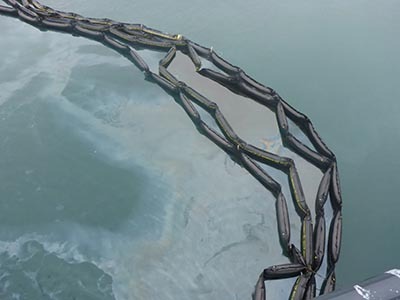 On September 21, approximately 100 gallons of North Slope Crude oil was spilled into Port Valdez. The spill occurred during a planned annual leak-test of the pipes that load oil onto tankers out at the end of loading Berth 5 at the Valdez Marine Terminal. To conduct the annual test, Alyeska Pipeline Service Company uses the berth’s fire system to pump seawater into the crude piping to a pressure of 190 PSI, or pounds per square inch. That pressure is held for a prescribed amount of time to allow inspectors to visually check the pipes for leaks. However, that day Alyeska was unable to achieve the necessary 190 PSI test pressure and an apparent operational error led to a mixture of crude oil and seawater being spilled into Port Valdez. Alyeska is conducting a thorough investigation of the spill. The council has benefited from Chicago-born Tom Kuckertz’ broad experience in engineering for 16 years and counting. After his retirement from the council in 2014, Kuckertz continued on as a volunteer for the committee he worked with most closely, the Terminal Operations and Environmental Monitoring Committee. 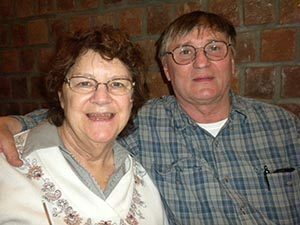 A young Kuckertz earned degrees in electrical engineering at the University of Illinois and the University of Idaho, followed by two years in the U.S. Army as a Signal Corps officer, where he was involved in the design and implementation of large communications systems. “Basically, it involved how to move information from one place to another, and in most cases, deny access to adversaries,” explained Kuckertz. Submitted by Alyeska Corporate Communications. 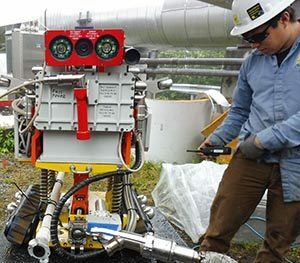 Alyeska staff implement new technology that can inspect areas of pipe that were previously impossible to inspect. Photos courtesy of Alyeska. This summer, Alyeska’s multi-year internal inspection program of Valdez Marine Terminal piping included inspecting buried relief system and crude oil piping in and around the East Metering building, and from West Metering to the end of Berth 5. Much of this piping is encased in concrete and was considered “uninspectable” until recent advances in inspection technology. Crews started in the spring, working in and around the East Metering building where oil enters the Terminal and is measured as part of the pipeline leak detection system. They built containment and installed equipment to allow for system isolation. The roof was modified so cranes could remove large segments of pipe from the building and return them after the inspection. During a scheduled maintenance shutdown in June, TAPS personnel drained down and isolated the impacted piping around East Metering. Once the shutdown was completed, a contractor cleaned the pipe with special equipment that limited physical entry into the pipe. Crews removed several 90-degree pipe segments to create access points for the crawler pig (see photos) that carries the inspection tool through the pipe. Pigs inspected approximately 2,100 feet of pipe ranging from 16 to 36 inches in diameter. 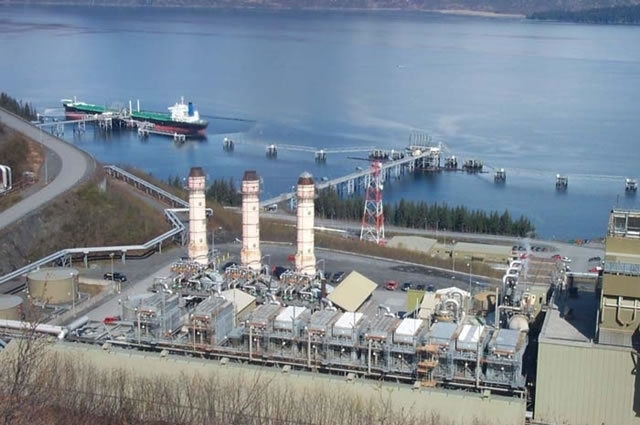 Alyeska integrity management staff analyzed the data, and found no needed repairs and no significant impact to pipeline or Terminal operations. The piping has returned to service. Copyright © 2019 Prince William Sound Regional Citizens' Advisory Council. All rights reserved.